There are a number of tweaks you can install on your jailbroken iOS device that’ll add quick settings toggles to your lock screen, but some of them are far more complicated — and more ugly — than they need to be. LockscreenToggles takes the concept back to basics to ensure it isn’t one of them. I wouldn’t say LockscreenToggles is completely perfect, but when it comes to design, it’s pretty close. The thing I like most about it is that it’s not there when you don’t need it. It hides behind the clock on your lock screen, then appears with a simple swipe when you need to change a setting. It offers a whole host of toggles, including those for Wi-Fi, Bluetooth, Do Not Disturb, location services, airplane mode, and mobile data. It’ll even turn on your iPhone’s LED flash so that you can use it as a flashlight in the dark. 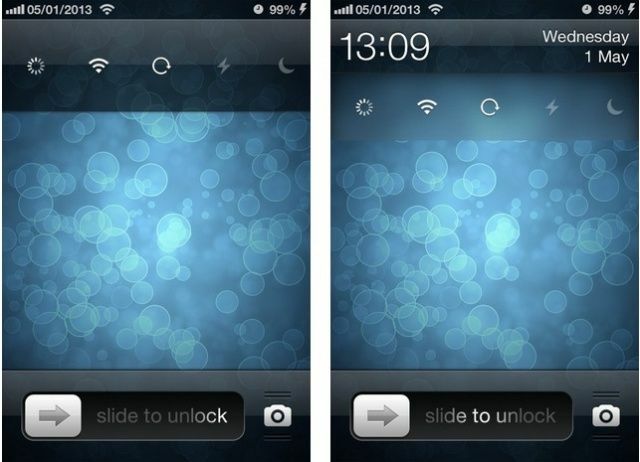 You can download LockscreenToggles from Cydia now, and it’s priced at $1.99.